Exactly 49 years ago this week an earthquake in southwest Morocco nearly destroyed the city of Agadir, killing some 15,000 of its residents, including 1,500 of the city's 2,300 Jews. The story of Agadir's lost Jewish community has not been told until now. For the past six years Dr. Orna Baziz, a survivor of the terrible quake and a senior literature lecturer at David Yellin College of Education, has conducted an extensive research of the community's history. Her book, "Hagadat Agadir" (Yad Ben Zvi Publishing) which includes an account of the city's history, testimonies from survivors and a partial list of the victims, will be officially released next month. 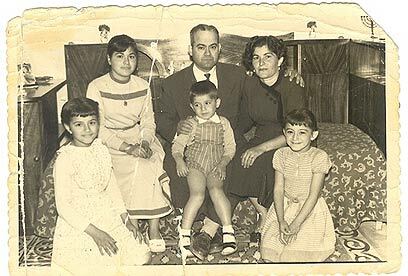 Baziz, who lost her father and sister in the quake, made aliyah to Israel with her mother and sisters in 1962. For over 40 years, she said, none of her family members ever mentioned the disaster. "Mom never spoke of Agadir or mentioned what has happened, and we completely suppressed it as well," she recounted. "But it turns out that it wasn't only us who didn't talk about it. Apparently none of the survivors wanted to open this wound." But in 2001, something was opened. On the week of her father's annual memorial day she visited her sister's house, and the latter suddenly started bringing up memories from Agadir. That night Baziz dreamt that she was visiting her father's grave in Morocco. In a spontaneous decision Baziz flew to Morocco several days later and – for the first time in 40 years – visited her father's burial place. Some months later Baziz was invited to attend an event in memory of the Agadir community at the Ben Gurion University, and tell her personal story. After she finished giving her moving account of childhood memories, one of the participants stood up and said, "If you are a doctor and can speak so well, why don't you do something for us?" For Baziz this was a wake-up call. 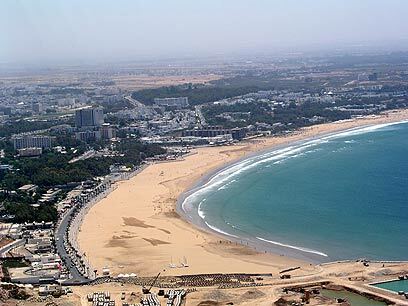 That night she was unable to sleep and it became clear to her that only serious research that will culminate in a book could answer the need to commemorate Agadir's Jews. She immediately embarked on a journey to the past, collecting testimonies, journalistic reports and photos from around the world, cross-referencing information and interviewing survivors. Six years later, Baziz said that she was grateful to God for helping her complete the study although she received no financial aid. "I must have been marked by God for this mission. I'm glad that the book was published and could bring some redemption to the community and the survivors," she concluded. See all talkbacks "Long-lost Moroccan Jewish community comes back to life "